Today we have brought to you a simple and cool trick on “How to Control PC using android or iPhone”. The trick we are going to tell you in this article is simply cool and it works with the help of smartphone application. Is not it sounds awesome? that you can control your PC using Android or any other smartphone. With the help of this trick, you will just need to sit back and monitor your PC or laptop using your smartphone. For controlling your PC using your smartphone, you will just need a working internet connection or WiFi connection. Now let’s have a look on this trick in details, so here we go. Also check: How to remotely lock lost android device, wipe data.. The trick is based on google chrome extension and smartphone application, we will use both to remotely control any PC or laptop. Yes now it is possible and here we will tell you “How to Control PC using android or iPhone“. Now let’s have a look on how this trick will work. As we told above, in this trick we will use google chrome extension to control any PC or laptop from the smartphone. When you will successfully apply the trick then your phone’s touch screen will work as a mouse for your PC. So that is How to Control PC using android or any other smartphone, we will describe the full trick in details below. You can control your PC from anywhere using this tricks, Have a look below on step by step guide for using this trick. As you can see in the picture above, not same but something like this you will handle your PC from your smartphone. The application we will use in this trick is available for both android and iPhone and these two are the major operating system, which covers 90% of smartphone market. Use the steps given below to control PC using Android or iPhone. We will prefer android in this trick as a controller of your PC. A working Internet or WiFi connection. Chrome extension installed on PC, MAC or any other system you use. 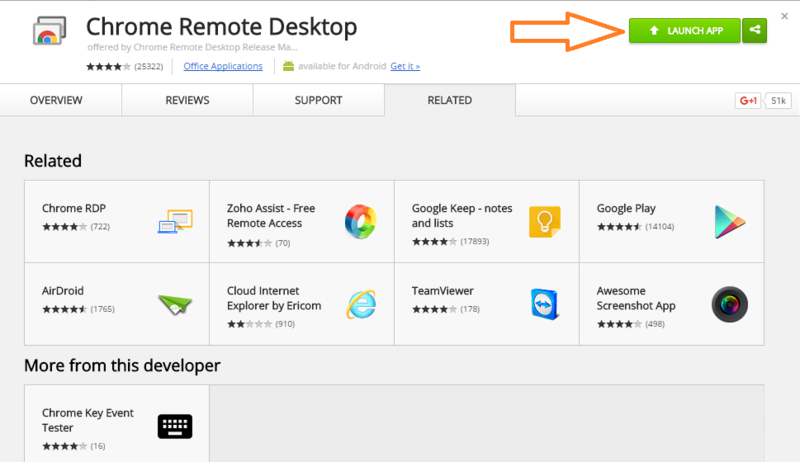 Chrome Remote Desktop app for Android or iPhone. 1. First of all download the remote desktop android application for your smart phone. 2. 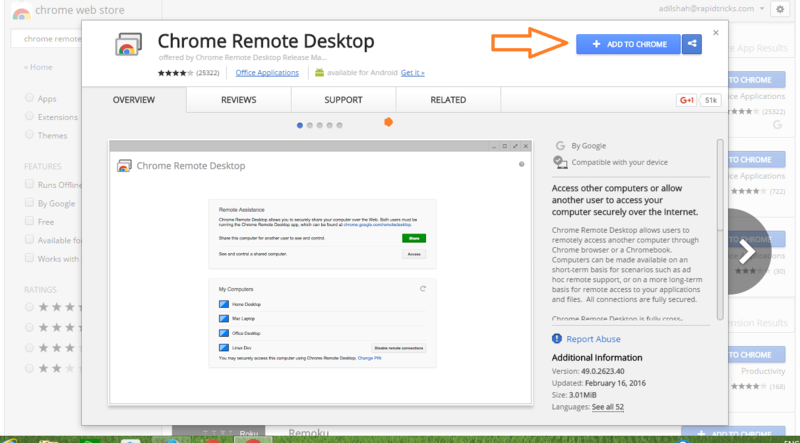 Now Download Chrome remote desktop extension for google chrome on your PC. How to Download: Click on control tab at top right corner > more tools > Extensions > get more extension > Search for chrome remote desktop > Add to chrome. 3. 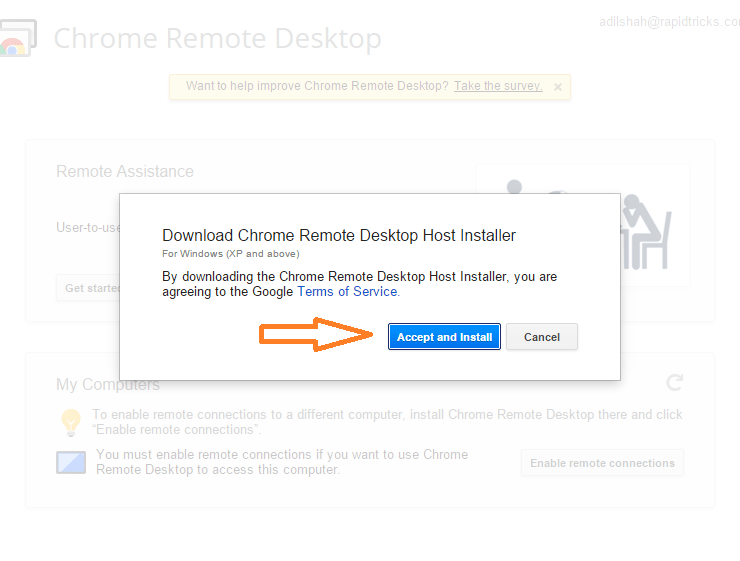 After adding the chrome extension you will get the notification for chrome remote desktop host installer, Click on accept and install. 4. Wait till host installer download, after download installs it on your PC. 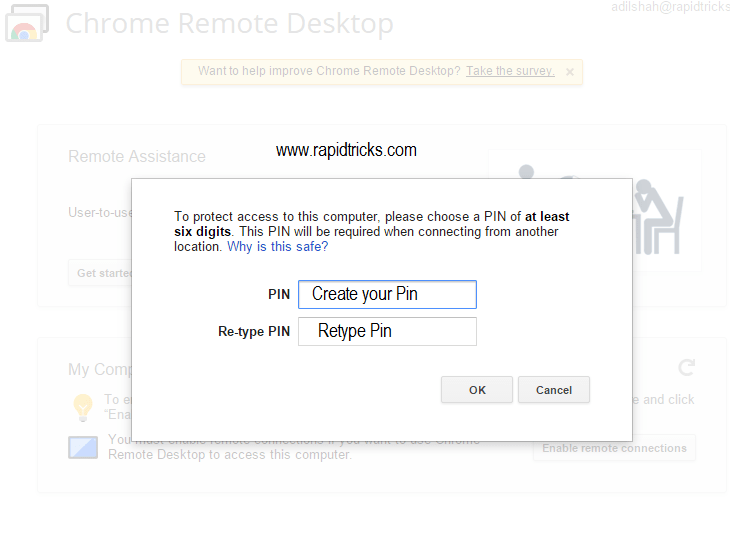 Note: You should be logged in to chrome using your google account while setting up the process. 5. Now go to extension and click on launch app. 6. Here it will show you two options, click get started button below access your computer tab. 7. Now you will be asked to set a pin for protect access to your PC. 8. 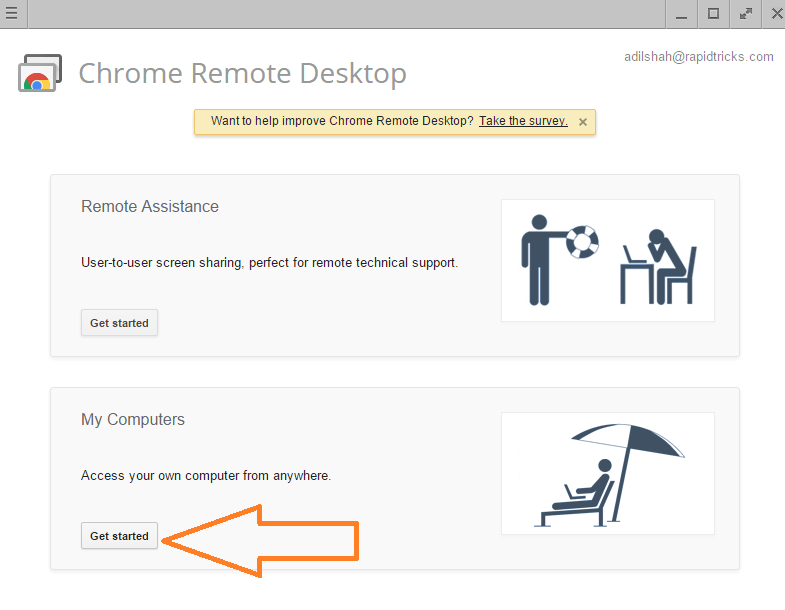 Now you have successfully added your PC in chrome remote desktop. 9. Now open the application on your smartphone and select your google account on which you installed the extension. 10. Enter the pin you have set for your extension. 11. And here you go, you will see your PC name in your phone. 12. Click on your PC name and start controlling your PC using your smartphone. Congrats you have successfully added your PC into the remote desktop app, and now you can tell your friends How to Control PC using android or iPhone. As we described controlling your PC using android in this article, same way you can use iPhone or any other smartphone for controlling your PC, MAC etc. Using this cool trick you can control your PC using your smartphone from anywhere, so don’t forget to share this cool trick with your friends and stay connected with us. Using this cool trick you can control your PC using your smartphone from anywhere, so don’t forget to share this cool trick with your friends and stay connected with us.